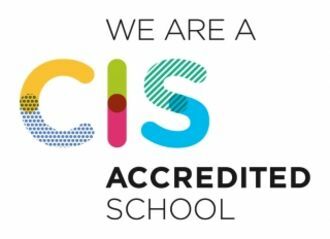 Meadowridge School has just received news that the Council of International Schools (CIS) has granted a full accreditation to our school. The CIS is regarded as the gold standard in accrediting organizations globally, just as the International Baccalaureate (IB) is considered the best international curriculum. There are about 450 schools in the world with CIS accreditation. We are now one of the 99 schools in the world, and one of two in Canada, who have achieved CIS accreditation paired with authorization to offer the IB Continuum of Programmes. Meadowridge is one of the first schools in the world to combine the IBO authorizations into a Continuum Report, examining how the school as a whole combines the three programmes effectively. Our CIS accreditation follows several years of work in preparing for the accreditation. We conducted a thorough survey which involved our entire school community: parents, students, staff, and Board members all shared their views to help us describe and analyze our school in the report submitted to the accreditation committee. This committee, comprised of 14 educators from around the world, visited us in the fall. The team examined every aspect of our school in a week-long visit; the group was detailed and thorough, evaluating our school against rigorous international standards, and provided us with a report to help our ongoing development as a school. Meadowridge is one of the first schools in the world to combine the IBO authorizations into a Continuum Report, examining how the school as a whole combines the three programmes effectively. Following their visit, the team granted us with the CIS accreditation and ongoing authorization of all three of our IB programmes. In addition, we continue to be accredited members of the Canadian Accredited Independent Schools (CAIS) organization, as well as embrace our recent, very positive inspection report by the Inspector of Independent Schools of British Columbia. The school is devoted to its Mission and Vision for students, as expressed in its Guiding Statements. The school also adheres consistently to the CIS Code of Ethics. The schools focuses on the quality of teaching and the progress students make, their standards of achievement (in the broadest sense) as well as the students' safeguarding and well-being. The school is committed to the development of the students' global citizenship.